With the support of the Royal Holloway Paula-Ann Travel Award, I spent one month in Kenya conducting field research for my dissertation titled “The study of the non-economic impact of technical ICT training on women – A case study of AkiraChix in Kenya”. 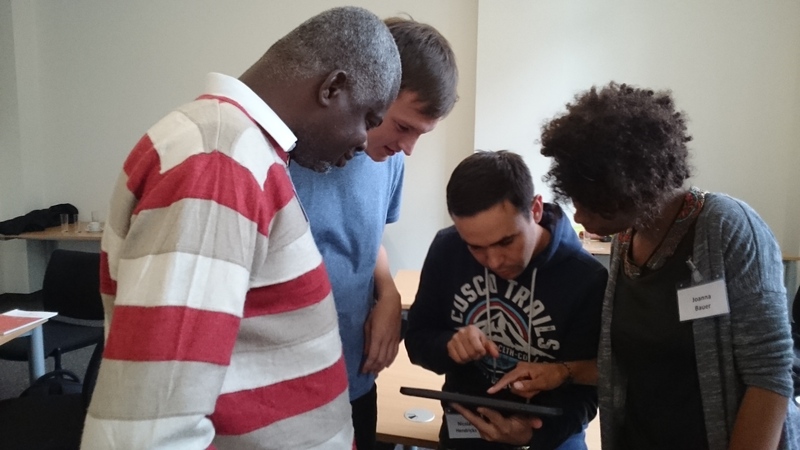 I came to Royal Holloway as a ICT for Development practitioner seeking to spend time researching things that I am passionate about. In my home country, Zambia, I co-founded and run Asikana Network, an organisation that seeks to empower women in the field of technology. We provide girls and women with free training in marketable ICT skills, a platform to interact and share knowledge, access to mentors and opportunities to give back to their own communities. 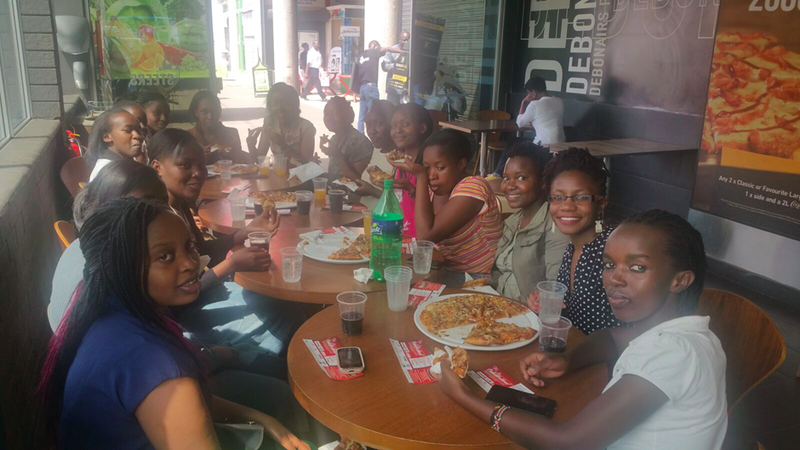 Similarly, AkiraChix runs technical training programs for women from poor social and economic backgrounds in Nairobi, Kenya. Prior to coming to Royal Holloway, I had experimented with various informal learning techniques, some of which have shown evidence that technology can effectively be used as a tool to change the way women perceive themselves in a society with strong traditional gender norms. The field work in Kenya allowed me not only explore the techniques used in an organisation with a similar mission to mine, but to assess the non-economic impact of the programmes run within a similar cultural context. It allowed me to better organise and crystalise ideas that I had before, but did not have the time to research further. It broadened my perspectives and opened me to incredible new ways of thinking. My time in Kenya was also vital for strengthening the bond between our women in technology initiatives, and we continue collaborating and learn from each other in the long term. I successfully graduated with a distinction and was awarded the Alan Mountjoy Prize for the best dissertation in social and economic geographies of developing countries. I have since returned to Zambia and am applying what was learnt throughout the MSc programme and during the field work. 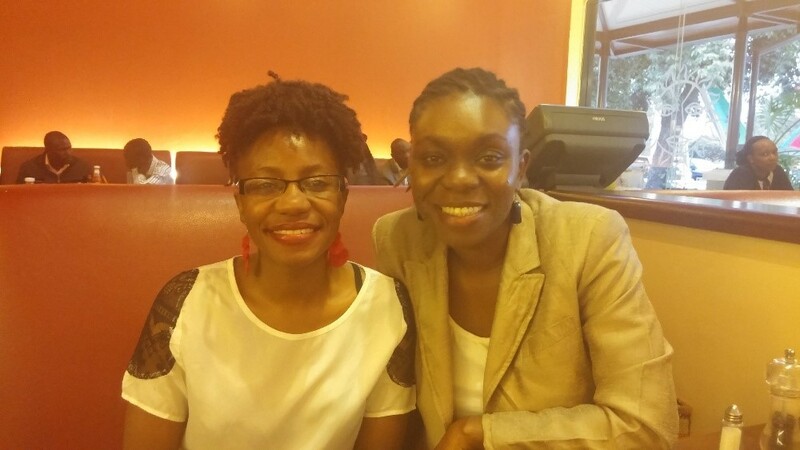 In the summer of 2017, I will be launching Young, Free and Connected, a 6-month programme in the heart of one of the lowest-income areas of Lusaka that will take young women through an intensive ICT training, placement and mentorship programme. Categories: empowerment, gender, ICT4D | Tags: gender, ICT4D | Permalink. 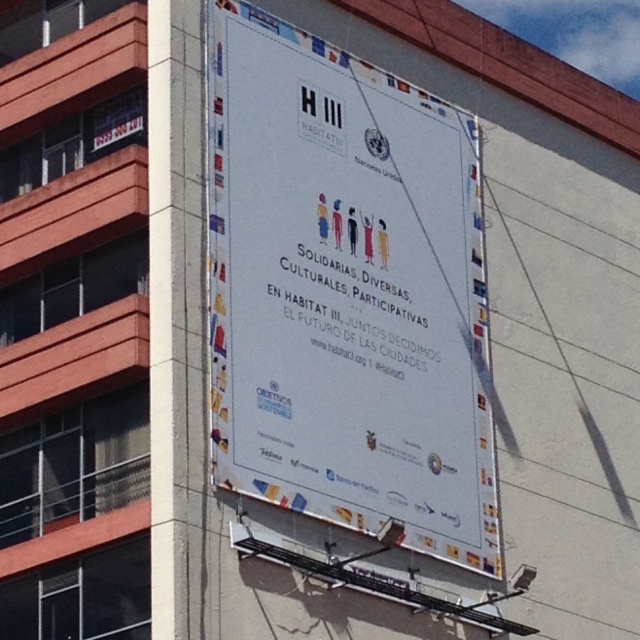 The Third UN Summit on Housing and Human Settlements (Habitat III) in Quito this week is bringing together some 50,000 people representing all manner of urban interests from around the world. Coming 20 years after the Second summit in Istanbul, it is intended to set the direction for the UN system’s urban engagements over the next 2 decades through the adoption by world leaders of the New Urban Agenda (NUA). Although the UN has made progress in recent years in engaging more substantively with non-state actors (UN-speak for everyone and anyone outside of national governments, which constitute the UN membership club), the contradictions and tensions in this arrangement were exposed during the protracted negotiations over the NUA, with some governments opposing the recognition of subnational (i.e. regional and local) governments even though they form part of the state sector. In UN terms, the NUA’s explicit recognition of the importance of urban local authorities and diverse other stakeholder groups as essential actors in any transitions to greater urban sustainability constitutes a major achievement and historic first. The final NUA text can be found at this link. Categories: climate change, Inclusive development, Sustainable urbanisation | Tags: Habitat III, New Urban Agenda, sustainable urbanisation | Permalink. Geographical Perspectives on “Development” – Where are we going? 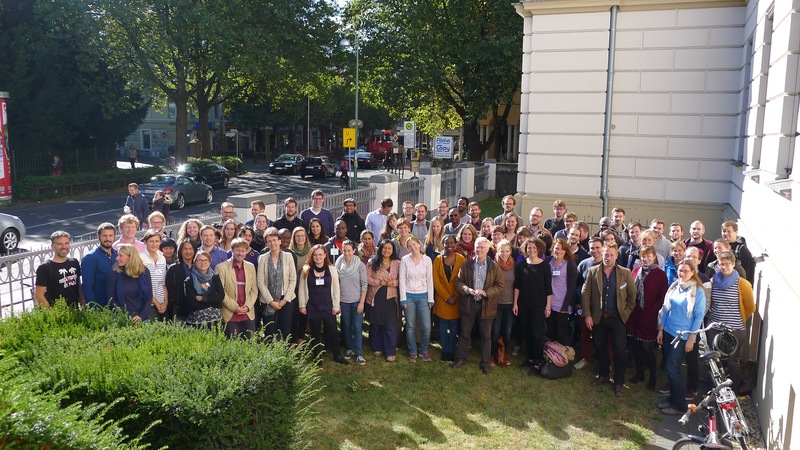 While a summer school beginning in October sounds a bit implausible in the UK, Bonn just about managed to find enough sun to justify the title of its conference! The University of Bonn was host to the Human Geography summer school 2016, Geographical Perspectives on “Development”. Bonn itself is a green, bike friendly city located along the River Rhine and host to the headquarters of UN agencies, German development agencies, and key international NGOs. Introducing the conference, Professor Detlef Müller-Mahn challenged participants to consider what they themselves mean by “development” through reflecting on theoretical orientations and personal positionality. Questions posed included what do we mean by development, what approaches can be used to generate meaningful results and how research in this field can be conducted in both a critical and constructive way. 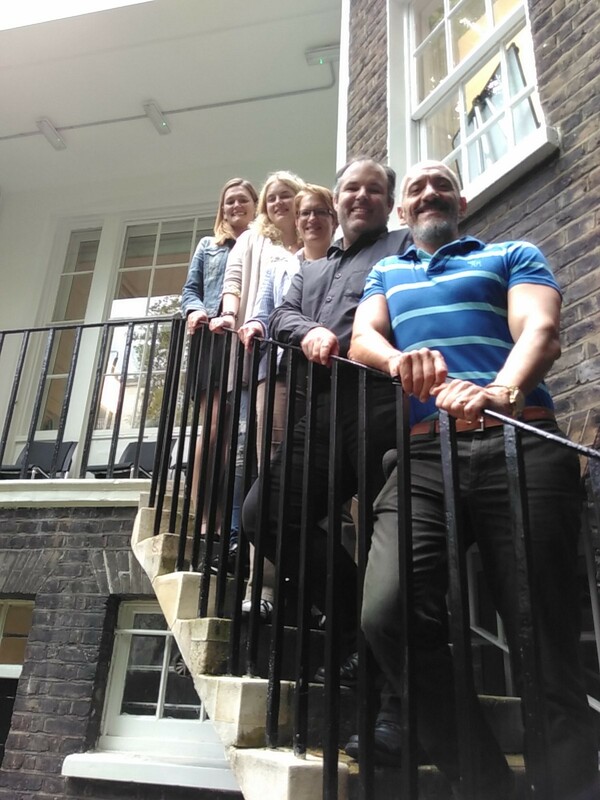 Through this lens workshops ranged from ‘Politicising global chain governance’ to ‘Manoeuvring challenging research contexts’ and ‘Community owned solutions for sustainability challenges’ run by Royal Holloway’s own Professor Jay Mistry. Categories: Development practice, Inclusive development, participation, Sustainable development | Tags: development, Participation | Permalink. Last week I took part in the Geographical Perspectives on “Development” summer school at the University of Bonn, Germany. Taking advantage of an Erasmus link between the Geography departments of Royal Holloway and University of Bonn, I was invited to contribute to the teaching of the summer school and use the opportunity to showcase my research and network with researchers based in Germany. The objective of the four day event was to engage in critically examining conventional approaches and supposedly well-established truths within the field of development geography using current research findings and approaches. 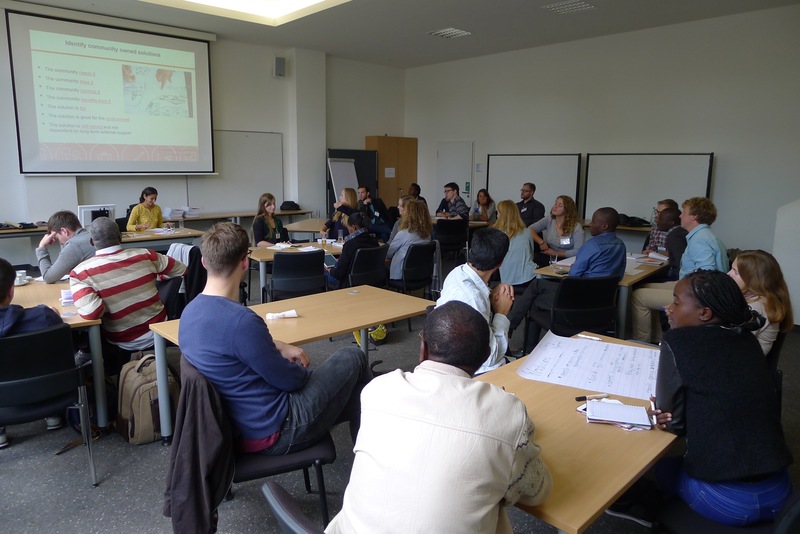 Aimed at Masters and PhD students, as well as early career researchers, the summer school focused on providing space to exchange views on a variety of topics linked to “development” and/or research in the “Global South”. This included global chain governance, nature and capitalism, migration, economic entanglements, decolonisation, risk and disasters and ICT for development, with overarching questions on what constitutes this area of research, what theoretical approaches are suitable to generate meaningful results, and how research in this field can be conducted in both a critical and constructive way. 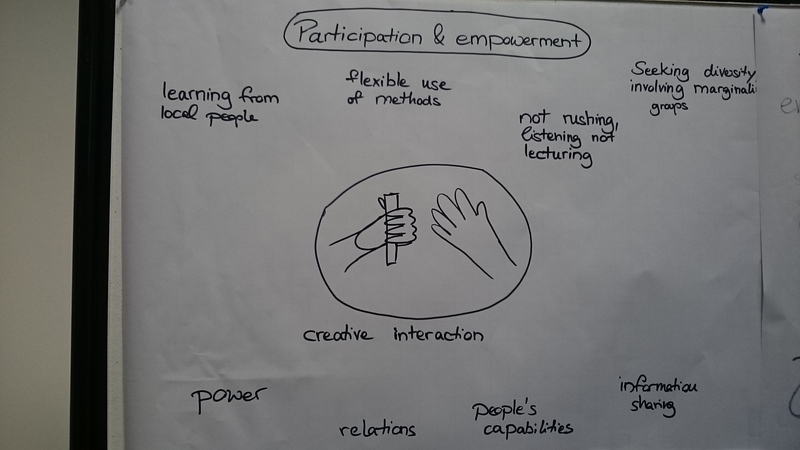 My main contributions to the summer school involved two workshops centred on the topic of participation. The first was on ‘community owned solutions for sustainability’, an emerging approach for engaging communities in identifying and sharing their own solutions to sustainability challenges such as climate change adaptation, naturalresource management, governance, health emergencies and cultural loss. Sharing results and approaches tested in a recent EU-funded project, Project Cobra, the workshop began by asking the thirty participants to reflect on the concept of community owned solutions from a theoretical and experiential perspective. 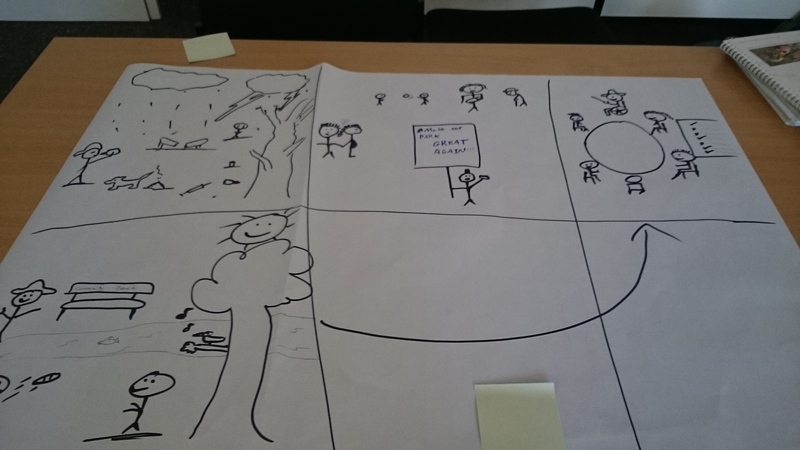 We then discussed the use of participatory visual methods, such as participatory video, for local people to themselves identify and share local solutions, to reflect on their situation, learn from others and engender action. Participants then had the challenge to develop a two minute film of a community owned solution within the timeframe of one hour! Tablets were used to film and edit, and role playing and local props (one group went to the nearby botanical gardens to the use the lake to represent Lake Naivasha in Kenya, another used one participant’s crutches to depict farmers hoeing fields), provided a good dose of fun and laughter. The discussion following the screening of the films highlighted the potential positive outcomes of using participatory video for strengthening community owned solutions as well as concerns about participant selection, data ownership and facilitator influence, amongst others. The second workshop, entitled “Participation in times of/for societal transformation – socio-political and methodological challenges intertwined!”, aimed to question the assumed power stabilising effects of participatory toolboxes such as Participatory Rural Appraisal, and thus to discuss to what extent participatory methods can facilitate transformative impacts of ‘empowerment’. Two examples were provided to encourage discussion: the different forms of relationships set up in participatory work, their power structures and impacts; and a critique of the use of ‘committees’ by governments and NGOs to channel participation in supposed predictable and positive ways. Participants were given the opportunity to discuss what empowerment through participation involved, and how a ‘radical democracy’ perspective might better respect community heterogeneity and the power of discourse. All in all, the summer school was a great learning experience. As well as sharing my experiences of participatory work, I was able to exchange with others working in diverse Global South and Global North contexts on methods and approaches. The many conversations had in both the workshops and in the communal spaces gave me a fresh perspective on participation, whilst making new friends and enhancing opportunities for collaboration. We are living in the ‘Anthropocene’, but does ‘big business’ care? Categories: Anthropocene, climate change, Corporate social responsibility, Palm oil | Tags: Anthropocene, climate change, CSR, Pension funds | Permalink. Six members of the Centre for Research into Sustainability (CRIS) at Royal Holloway, University of London, who are responsible for much of the sustainability-related teaching in the School of Management have won all three college excellence in teaching prizes awarded to staff in the School in 2016. This confirms the commitment of CRIS to maintain high quality, innovative sustainability teaching, and mirrors the School’s long-standing commitment as a signatory to PRME, the United National Principles for Responsible Management Education. The Committee responsible for awarding the prizes considered a “very strong field of applications” which marks these prizes as particularly significant. The two individual excellence awards went to Dr Katharina Husemann and Dr Anica Zeyen whereas the team award went to Dr Stephanos Anastasiadis, Prof Laura Spence, Dr Diego Vázquez-Brust and Dr Sigrun M. Wagner. The prizes award teaching across all levels, postgraduate and, mostly, undergraduate teaching. The courses in which these colleagues teach cut across several pathways of the BSc management programmes – marketing, entrepreneurship and sustainability – and also include courses mandatory for all students, thus demonstrating how sustainability cuts across disciplines outside its sometimes perceived niche. Categories: Corporate social responsibility | Tags: CRIS, sustainability | Permalink. Sustainable Development Goals: Something new or more of the same? The 17 Sustainable Development Goals (SDGs) and 169 targets were described by UN Secretary General Ban Ki-Moon as a ‘to-do list for people and planet, and a blueprint for success‘. They are seen as building on the 15 years of the Millennium Development Goals, which succeeded in providing a framework for global development cooperation and achieving significant progress in the reduction of extreme poverty, child and maternal mortality, and improved access to primary education. However, the MDGs were criticised for a top-down, Northern-centric framing of development definitions and development practice. Categories: climate change, Development practice, Inclusive development, Sustainable development, Sustainable Development Goals | Tags: Sustainable Development Goals | Permalink.